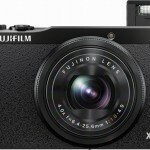 Fujifilm, in the development of each of their mirrorless cameras, has always shown logical thinking and common sense. After releasing a high-end model, the manufacturer has released progressively simpler models in their X series to appeal to a wider range of customers. After the X-Pro1 and the X-E1, it was only a matter of time before a smaller, more affordable camera was released. That is the purpose of the X-M1, which was announced some weeks ago. We’ll still have to wait a few more weeks for its official release, but the first units of the X-M1 have already been tested by some professional reviewers at the Fujifilm branch in Barcelona. This 16-megapixel camera will cost 699 dollars, and 799 dollars with the XC 16-50 mm f3.5-5.6 OIS zoom. As it is already known, this is the smallest and most affordable model among those in the X series, and despite not featuring functionalities like the integrated viewfinder, it’s said to offer the same image quality of its bigger sisters thanks to its CMOS X-Trans sensor. Having these specs and price accomplishes little is the lens is not top-notch, so Fujifilm has released at the same time the 16-50 millimeter Fujinon (the first of the XC saga, with more affordable lenses) and the small 27 mm f2.8, “pancake” type. Both, however, lack the diaphragm ring other Fujifilm lenses feature. This is the price to pay for a camera with this price and size. The same quality in a smaller package: This is the idea behind Fujifilm’s X-M1. The camera is small and light, but this isn’t good news in every regard. Its reduction in size is truly noticeable, especially when compared to the other cameras of the series, despite the screen that slightly increases its width. In fact, thanks to its small 27-millimeter lens, the X-M1 is almost the size of the X20, a compact with a much smaller sensor. To make a camera this small –and reduce costs- Fujifilm didn’t include an integrated sensor and gave it a smaller handle. Although you can hold the camera from its barrel, you can also buy a smaller handle that can be attached to it, if you find the former uncomfortable. It’s always important to have in mind the X-M1 is the smallest and most modest camera from the series. The sensor is still the same, but its design –not bad at all, really- and other details really left something to be desired. If you’re expecting everything the higher-end models of the X series can offer, you’ll end up disappointed. We will review every detail carefully in time, but at first sight, we liked the dial mode and the double wheel. The back wheel, however, is not exactly comfortable to use thanks to the size and style of the camera. The articulated screen and Wi-Fi connectivity are interesting new features as well. However, the Wi-Fi connection -which Fujifilm has been heavily advertising-, can only transfer pictures to a tablet or smart phone, without offering any remote controlling features. Despite all this, the camera feels like a real, solid Fujifilm camera. We miss the button to freeze the picture and the focus other models feature, but we assign these functions to the "Fn" button. 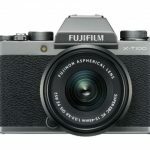 Fujifilm is well aware of the kind of consumer that will buy this camera, and makes emphasis on the automatic and scenic modes, which can now be accessed from the dial. The X-M1 also has the artistic filters, though this time they’re under the "Adv" (Advanced) mode, not unlike Fujifilm’s compact cameras, which doesn’t really make much sense. Everything we’ve seen so far about the camera’s performance has been great, from the start-up to the normal and burst mode shooting. The automatic focus is also great, especially with the new 16-50-millimeter zoom, safer in this regard than the 27-millimeter "pancake". Some things, like the plastic-made bayonet mount, are not a good signal, and everything we’ve learned thanks to this initial contact with a pre-production unit makes us think that the several measures to reduce costs have impacted the design and external components, rather than its performance. The corners of the picture are still far from what the best Fujinon models have to offer, but you have to remember this is a much modest zoom. You can get very interesting results by combining the luminous 27-millimeter lends and the f2.8 aperture, and get an angle of view equivalent to 40 millimeters. If you want to travel light and still enjoy the performance of a 16-megapixel CMOS X-Trans sensor, you may want to give this "pancake" a chance. The key, as always, will be the price and the balance. With the price of the X-E1 around 1200 Euros with the 18-55 mm f2.8-4 XF zoom, some consumers may not think the X-M1 is worth it. To make your decision, you must take into account the price, size and also if you need an integrated viewfinder. Once we know more about the Fujifilm X-M1 and we can officially have it our hands, making this decision will be easier and it will be finally seen if the X-M1 is truly a good choice.